2018 is nearly over and it’s been a busy year for logistics, supply chain managers and fleet owners. To help with future planning, here’s a 2018 news highlight reel. The first test of platooning took place in the UK in May 2018. The government has invested £8 million into the project and the key benefit of platooning is the reduction of aerodynamic drag. But transport specialists are asking for clarification on how safe platooning is, how it can save fleet owners money and how others on the road will interact with the automated convoy. Meanwhile both Daf Trucks and MAN have started their own platooning trials. MAN’s trials in Germany included two networked trucks travelling a 145km stretch of the A9 highway between Neufahrn and Nuremberg. Concern over the shortage of skilled drivers has been ongoing throughout 2018. The current estimate is that 50,000–60,000 additional skilled drivers are required with 150,000 being needed by 2020. Fleet owners are advised to check the overall well-being of their team and to support training operators to attract new talent to the industry. The HGV parking shortage was widely discussed in 2018, particularly in Kent. The Chartered Institute of Logistics & Transport and Kent Police revealed 1,000- 1,200 additional HGV parking spaces are required for the region. The facilities for drivers at HGV parking spaces were also criticised in 2018, but the government has set guidelines for new development to include adequate overnight lorry parking facilities. The FTA welcomed this decision. The increase of breakdowns due to potholes, which was reported by the RAC in August 2018 has led to a strong focus on potholes throughout the second half of the year. The RAC also found that drivers are twice as likely to breakdown due to potholes than 12 years ago. Meanwhile Mark Morrell, known as Mr. Pothole on social media, has called for an official qualification and national training for pothole repair work. This is to improve the quality of repairs, as many repairs of potholes don’t last. On the upside, the Transport Secretary has provided a £345.3 million funding package to improve local roads. The funding will go to 76 projects across the country and include two major new roads in Middlewich, Cheshire and Worcester in the Midlands. Brexit remained one of the main topics of discussion within logistics. The main concern is the impact of a no-deal Brexit on the supply chain. The Chartered Institute of Procurement & Supply has raised concerns about goods being delayed at customs. Even a 30-minute delay could lead to one in ten UK businesses going bankrupt, as the latest survey revealed. The bullet points above summarise the stance on October 15th, so it remains to be seen what Brexit truly means for the supply chain. Logistic specialists continue to urge for clarity on plans and a transitional period to adapt current systems. The most famous supply chain mishap of 2018 is the KFC chicken crisis. In February 2018, KFC was forced to close several restaurants due to having run out of chicken. The company’s logistics firm, DHL, was unable to fulfil its contract due to an accident outside of their warehouse. Logistic experts criticised DHL for operating out of a single warehouse for a nation-wide client like KFC. Especially as it emerged that this warehouse had a new IT system and in the middle of a handover period. The single location, faults with the planning software and having no contingency plan in place led to what has been dubbed as the great chicken shortage of 2018. This wasn’t the only supply chain crisis of 2018 though. In June 2018, national beer producers’ profit margins were threatened by a carbon dioxide shortage. It also affected the soft drink industry. The Fifa World Cup was especially affected by the shortage as the games brought in an increased demand of 14 million pints. The plastic crisis highlighted by Sir David Attenborough in 2018 led to discussions on how to reduce the use of plastic and how to reduce the UK’s overall carbon footprint. Many stockists are turning to the supply chain to identify how to reduce their emission stats. Transport experts and fleet managers will be encountering potential restructures of supply chains from their clients. 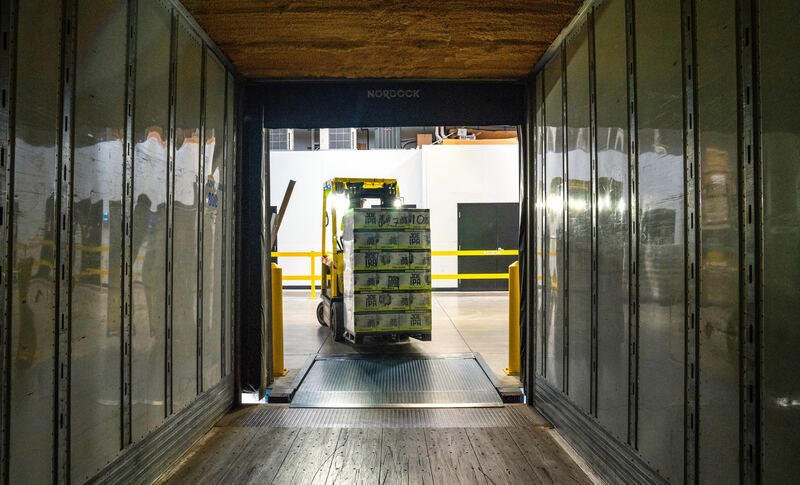 The ecommerce boom has led to many retailers opting into on-demand warehousing. It offers retailers the flexibility they need in peak periods to provide the high demand of products without the ongoing costs. This uptake of on-demand warehousing is good news for transport and haulage professionals, as it means more requests for services across the country. Statistics show that UK logistics are doing well. Q3 of 2018 was very profitable. 64% brand new warehouses were built to match the growth in the UK’s ecommerce industry and a further 500,000 square feet of warehouses are planned for 2019. Despite the uncertainty of 2018, it has been a positive year for logistics, supply chain and fleet owners. If you’re a fleet owner or logistics manager needing trailers fast, contact Leeds Trailers. We have a variety of flat, extendable and curtain trailers available for immediate hire. Leeds Trailers is based in a prime location just off the M62 near Leeds. Call us today on 01924 420 646 to hire a trailer.